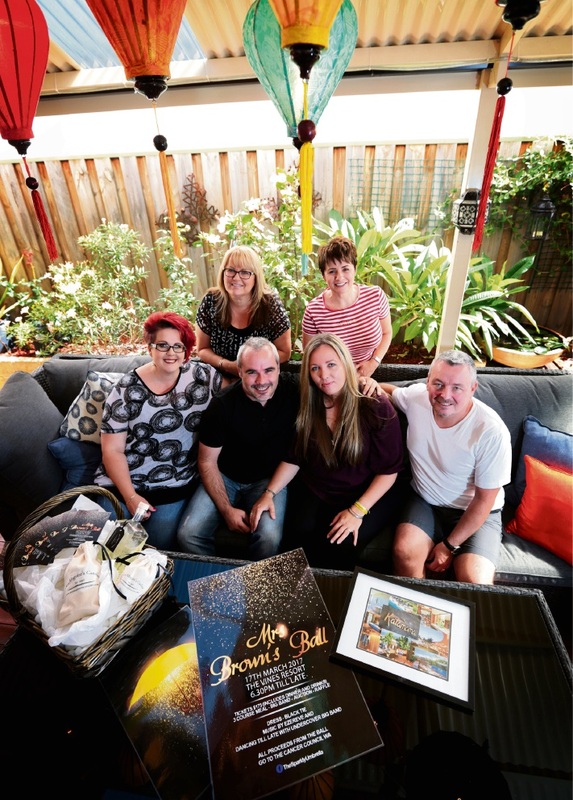 ELLENBROOK residents have celebrated the lives of two much-loved people and have raised $22,000 for cancer research at the inaugural Mrs Brown’s Ball at The Vines Resort. The charity ball, which was organised by fundraising group The Sparkly Umbrella and held on Friday, celebrated local resident Tracey Maguire’s mother, Mrs Brown, who died of cancer on St Patricks Day last year. The event also honoured three-year-old Aveley boy, Kai Nell, who stole the hearts of many around WA during his two-year battle with a rare form of leukaemia, two bone marrow transplants and a widespread search for donors. Mrs Maguire, a co-founder of The Sparkly Umbrella, said after hearing that Kai had died in January and following his journey with treatment and the search for a donor on social media, she knew that she wanted to do something in his memory. She said the ball, which would be held annually, would be held locally, supported by locals and would honour locals who had died of cancer or survived the disease. “My mummy would be so proud of this event and she would love that there was one big party in her honour, and she would love that she was sharing it with Kai,” she said. Kai’s parents, Richard and Kara Nell, were guests of honour at the event. Mrs Nell said one of the hardest things about Kai’s death was not knowing who would look after him. “When Kai died my biggest worry for him was not knowing who would be there watching out for him because I didn’t really know anyone who had passed,” she said. Mr Nell said the support from the community during Kai’s treatment and after his passing had been overwhelming. “We got so much support from our social media page and there are many other families who don’t get that and that’s what we tried to reflect,” he said. He said Kai’s followers had amazed him and were helping create a legacy in his honour. “The things we’ve enjoyed seeing from the social media page is that people have started to give blood and donate bone marrow, but it’s also the people who say that their husbands have come home earlier from work to spend time with their kids because of Kai,” he said. “And a little boy who had a birthday and instead of asking for presents asked people to donate money to cancer research because of Kai. Mrs Nell said Kai was a cheeky boy with a lot of confidence and had no doubt he was at the ball dancing in his “green shoes”. Every cent raised from the event will go to Cancer Council WA and directed to a children’s cancer research program. 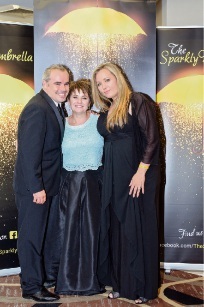 The Sparkly Umbrella committee member Sharron Attwood said the night was a huge success and generated so much support from the local community. “Mrs Brown’s Ball was a night full of fun, laughter, remembrance and hope,” she said.